Whole Foods is making its mark on Memphis' Wild Oats. Now that Austin-based Whole Foods Market has successfully merged with Wild Oats Markets, rumors abound about the fate of the city's only Wild Oats location in East Memphis. Just ask a shopper or even a Wild Oats employee. Each one will likely have a different story: The current store will close and move to a location farther east; Whole Foods will open an additional store in Midtown; the Wild Oats store is becoming a Whole Foods; Whole Foods is eliminating Wild Oats brand generics; nothing will change. It seems no one really knows what is happening to the city's only health-food grocery store. Last February, Whole Foods CEO John Mackey announced his company would buy out Wild Oats Markets, Inc. for $565 million, but the U.S. Federal Trade Commission sued to block the deal, claiming the merger would hurt competition in the natural and organic foods market. 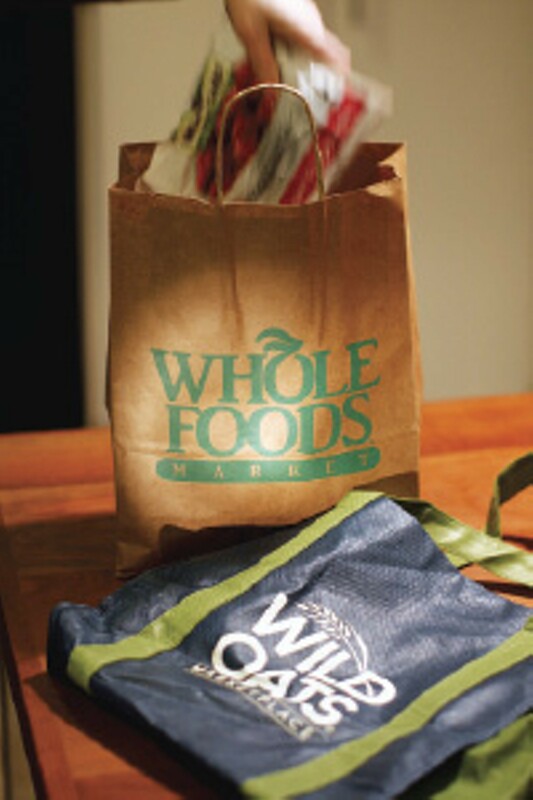 A federal appeals court later denied the commission's request, and Whole Foods acquired 110 Wild Oats stores nationwide. One rather conspicuous change at the Memphis store: The signature giant fruits that once adorned the roof of the building are gone. The large yellow letters spelling Wild Oats, however, remain in place over the store's entrance, and that's not going to change — at least for now, according to Whole Foods spokesperson Darrah Horgan. "We're not changing the name at this point. There's so much more to focus on right now. I don't think the name is a priority," says Horgan, from her office in Atlanta. Horgan also confirms that the store would not be closing but rather redesigned to include more Whole Foods amenities, such as expanded prepared-food options and a more diverse range of produce. The current salad bar will be replaced and have more options, and a hot food bar also will be added. Whole Foods' hot food bars typically contain a variety of freshly prepared meats and/or tofu stir-fries and pasta dishes. In addition, a pizza bar will be constructed, complete with a wood-fired oven. And the store will add a gourmet coffee bar serving lattes, mochas, and the like. Currently, Wild Oats has a modest self-serve coffee station. "There's not going to be much change in the square footage of the store, but there will be some major construction within the store," Horgan says. "When you talk about putting in a wood-fired oven, some physical construction will have to happen." With more dining options, Wild Oats also will expand its café seating. Right now, only a few tables line the store's front, where diners can view the action in the check-out lanes. Horgan is unsure whether those tables will remain or if a new café will be constructed in another area of the store. "They will be doing away with the community room space [near the back of the store]. But they'll be adding a conference room, so there's no reason to think that area couldn't be used for public meeting space," Horgan says. Local chefs and food organizations often host free cooking classes in the current community room, and Horgan says the store may offer a mobile cooking station so groups can continue to host demonstrations. The produce section already has undergone a facelift, with shelves and bins rearranged to make more space. Horgan says the store will begin carrying a wider variety of produce. Whole Foods stores typically offer exotics such as lychee nuts, cherimoya, and baby pineapples. "Overall, customers will see a more open store with more selection and a nicer environment," Horgan says. Before the merger, both stores shared similar philosophies. Each sold products with no hydrogenated oils, no artificial colors or sweeteners, and no preservatives. As a result, Horgan says the merger shouldn't affect many brand-name products, as both stores typically carried the same brands. 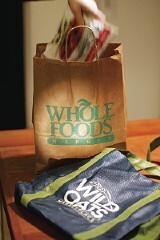 But customers will see many Wild Oats brand products replaced with the Whole Foods brand, 365 Organics. "We plan to keep a mix of Wild Oats and Whole Foods brands, but where there's overlap, we'll probably do away with the Wild Oats brands," Horgan says. "With a lot of our private label brands, you really can't beat the price. Being competitive in pricing is very important to us." So what about those rumors of a new Whole Foods store opening elsewhere in the city? In the past month, shoppers have been asked to give their home phone numbers when checking out, leading some to believe Whole Foods is collecting information on where another store is most needed. "We do ask customers their phone numbers once a year at several stores. It's a spot survey to see, geographically, where people are coming from," Horgan explains. "But I've heard no news about a new store opening in Memphis."